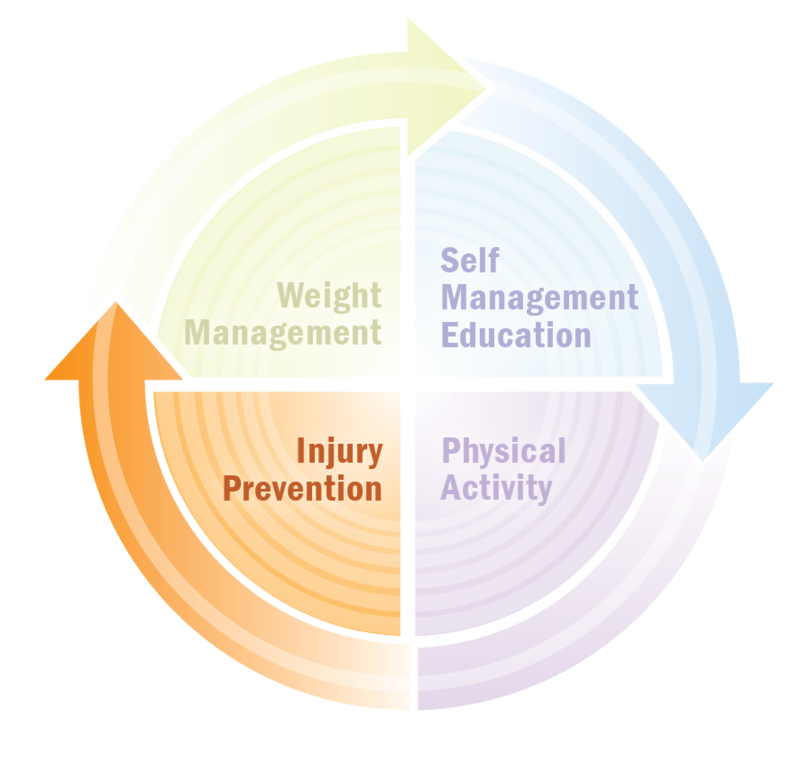 Injury Prevention is identified as a recommended public health intervention outlined in the National Public Health Agenda for Osteoarthritis. Injury to the knee joint, such as an anterior cruciate ligament (ACL) rupture, whether treated surgically or non-operatively, can lead to OA of the knee later in life. In fact, individuals with a history of knee injury are 3-6 times more likely than those without knee injury to develop knee OA. Down the line, almost half of individuals with an ACL injury will develop knee OA within 10 years. Participating in neuromuscular training exercises can reduce the risk for traumatic knee injury by up to 80%. Learn about the 7 recommended exercises in our Infographic Osteoarthritis: Staying in the game is a ‘joint’ effort! The Osteoarthritis Action Alliance with the aid and leadership of the National Athletic Trainers’ Association has created flyers to educate professional sports organizations as well as individuals in the community (student-athletes, parents) in the importance of preventing ACL injury. The flyer includes exercises that can be incorporated into a preventive training program to prevent ACL injury and improve the performance of athletes. Infographic Osteoarthritis: Staying in the game is a ‘joint’ effort!